FP-30, a compact sized Roland digital piano that delivers real high-end performance, seen here in a classy and modern white finish. Roland F..
FP-30, a compact sized Roland digital piano that delivers real high-end performance, seen here in a classy and modern white finish. For anyone who has always wanted a piano in their home but lacks the space and budget to do so, the Roland FP-30 is the answer. An affordable 88-note keyboard with the acclaimed Roland sound and feel, the FP-30 is packed with modern features. When creating the FP-30, Roland wanted to make sure they delivered an affordable digital piano that would outperform others in its class. 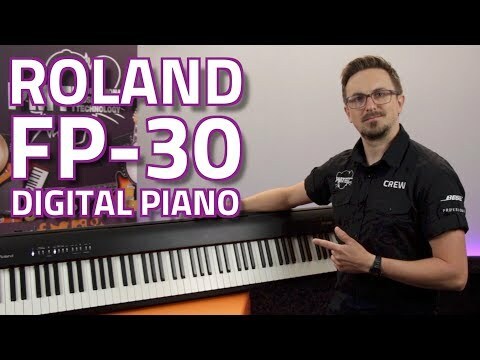 The FP-30 makes use of Roland’s highly advanced SuperNATURAL Piano engine for extremely realistic sound while the newly developed keyboard has the touch, escape and ivory feel keys that you’d expect to find in Roland’s high-end home pianos. Providing a solid foundation for beginner piano players and the kind of detailed articulation and response that experienced players require, the Roland FP-30 is the perfect combination of high-quality components, technology and affordability. With its powerful modern digital engine, the Roland FP 30 delivers an experience far beyond what a conventional acoustic piano can bring, enhancing the productivity and enjoyment of your piano playing sessions. Make use of non-piano sounds such as strings, organs and voices so you can enjoy playing across all styles of music while a variety of drum patterns are available on the FP-30 piano, giving you awesome backing to play along to. You can even layer two sounds together or set the FP-30 to play different sounds from each hand for further depth in your music. Using the integrated Bluetooth connectivity, the FP-30 works with MIDI music apps on mobile devices and USB support allows you to play along with your favourite tunes and save SMF songs made with the FP-30’s built in recorder. Twin Piano made works great for lessons, allowing the student and teacher to play side by side in the same octave ranges. When you want to practice privately or have fun with your digital piano late at night, you can simply plug in your headphones and play as late as you like with the confidence you won’t be disturbing your neighbours or family. Perfect for gigging pianists or taking along to lessons, rehearsals and jam sessions, the Roland FP-30 is incredibly lightweight and compact. With its compact design, it’s easy to take the FP-30 along with you wherever you go and it opens up a lot of potential for placing it down at home while delivering professional level piano tones at the same time. Included with the Roland FP-30 is a damper pedal for lifelike piano playing experience and performance and a music rest. Delivering fantastic piano sounds as well as other instruments, Bluetooth connectivity for popular music apps and all packed into a lightweight, compact and affordable design. 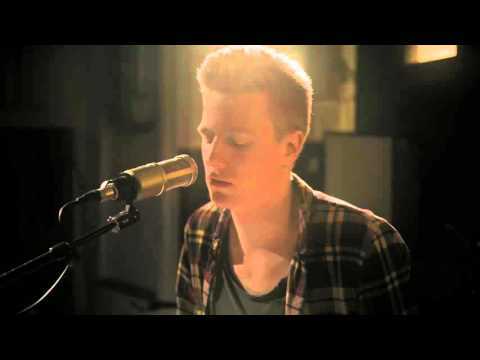 Roland’s FP30 is a great digital piano for newcomers and seasoned players alike.